In this article, we give some general guidelines, but, if you are pregnant, we highly recommend seeking a personal consultation from a trained physical therapist, who has professional experience working with variations in the pelvic floor muscles! 1. Pregnant women should never seek a diagnosis from an untrained professional (i.e. someone who doesn’t specifically work with pregnancy or who is not a trained medical doctor), since every person has completely different body type and medical history. 2. 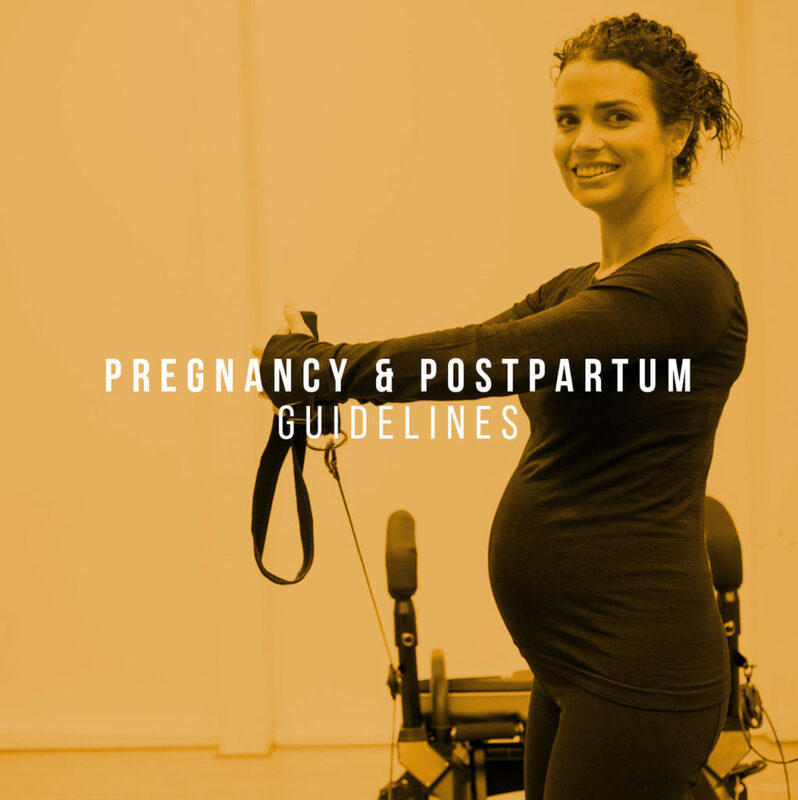 Pregnant and Postpartum clients should, however, request modifications before/during/after class from a CORE40 instructor if any pain is experienced! 3. Contrary to popular belief, twisting is not harmful during pregnancy, unless it’s causing the client pain! In fact, working the obliques is actually good during pregnancy (specifically for postpartum and pelvic floor recovery). So, if it causes pain, or reduces normal breathing during a twisted oblique exercise, then the client should modify the exercise accordingly. If it’s not causing pain, then the person is generally ok to do french twist, mermaid etc. It’s not a blanket “no twisting during pregnancy” rule. 4. Exercises where the legs are stretching far apart should be modified, if there is any pelvic pain – i.e. standing inner thighs and lunges, then the exercise should be done with a much more limited range of motion. 5. If a pregnant client (or any client for that matter) is holding their breath, they should modify the exercise to a point where they can breathe easily (very important for pelvic health). It can be harmful to pelvic muscles if they aren’t breathing (this doesn’t necessarily harm the baby, but they could experience a longer/harder recovery after the pregnancy if their pelvic muscles are too tight). 6. 80% of Postpartum women experience Diastasis Rectus Abdominis (DRA), which is abdominal separation. If there is a noticeable “doming” or “bulging” in a postpartum client’s belly, that’s a cue they should take a modification during an ab exercises (specifically crunches). If a client knowingly has DRA, then they should let the instructor know if something feels uncomfortable and the instructor can provide a modification accordingly. 7. Lying on the back is not a blanket “no no” for pregnant clients – again, it all depends on what the client is feeling. 8. Cycling is a great cardio alternative to running for pregnant clients, since it’s low impact; However, pregnant clients are advised to not stand up on the bike to avoid increased impact. In summary, it’s best to keep an eye out for pain and over exertion to request modifications accordingly. CORE40 instructors are not trained doctors or physical therapists and cannot diagnose medical issues, but we can be mindful of things like constant breathing, pelvic pain, and DRA to provide modifications accordingly. We can certainly play a positive role in a pregnant and postpartum client’s healthy journey into motherhood! Annemarie, a physical therapist in the Noe Mission area, is a great resource for pregnancy and postpartum care! Her email address is: annemarie@miraclept.com.